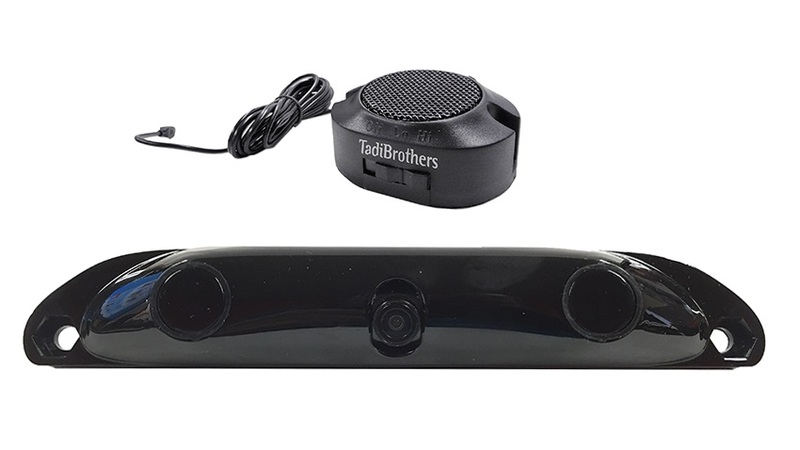 This sleek, black license plate backup camera is incredibly easy to install. It comes with adjustable brackets that mount conveniently to your license plate's current existing screws. There is no need to modify your vehicle in any way. The full-color CCD (High Definition) lens offers unrivaled picture quality, and the military-grade night vision makes seeing in the dark a breeze. It comes standard with reverse (mirrored) imaging, and you can set it to activate when you are in reverse or just leave it on all of the time. An outdoor camera needs to be able to handle some harsh conditions, and this camera is certainly up to the challenge. The steel weatherproof chassis will resist water damage, as well as physical abuse. The camera has a 120° angle, which allows you to see everything behind the vehicle. This high-resolution license plate camera is also compatible with all of our other cameras, monitors, and car DVD players, so feel free to customize your own system as needed. The Parking sensor part of the Camera will start beeping at 8ft and they will flat line when you are 6 inches away (this kit includes a speaker).